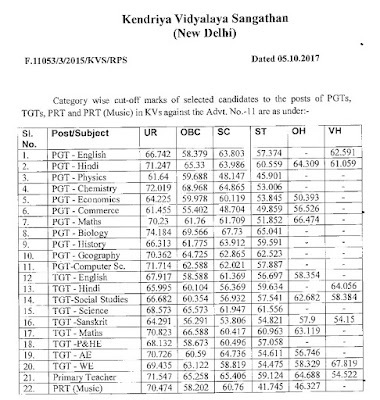 KVS (Kendriya Vidyalaya Sangathan) has Declared Final Result , Merit List/ Cut Off Marks for the Post of PGT, TGT , PRT Against Adv. No. 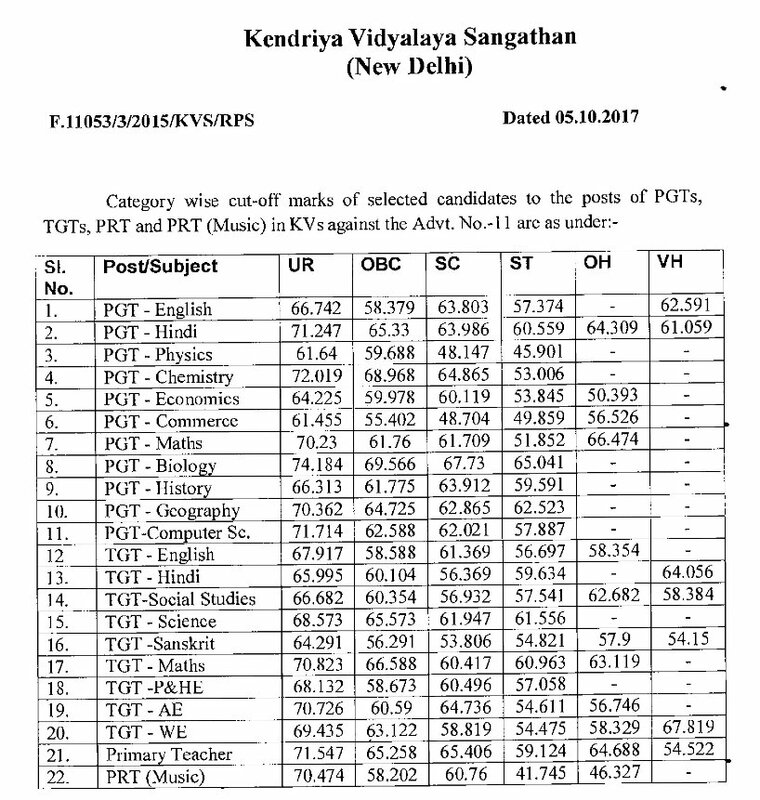 11/2016.